Hubby has the tractors going, trying to meet CRP deadlines. Irrigation wells are pumping due to lack of rain and snow. Our cows are beginning to calve. The early veggie seeds are tucked under loose dirt in the garden. Spring Break has come and gone, and so far my NCAA basketball bracket is not too shabby. It is March Madness at our Home-On-The-Range. Each year when we spring forward and lose an hour, our schedule and workload seem to immediately multiply. Even with good organizational skills, sometimes the madness is like a Kansas whirlwind spinning out of control. For instance, yesterday I was supposed to scan seed sheets and submit the seed orders. This task needed done so the orders would be filled for the next delivery. Unfortunately, this job was not on my to-do list and was forgotten until this morning. I dropped the ball, but the game is not over. Hubby and I need to listen and communicate well to minimize turnovers. We also need to continue to daily review our play book (Bible) and take Coach’s (God’s) advice. All our hard work is meaningless, meaningless if we do not work as a team for our God. Here now is my final conclusion: Fear God and obey his commands, for this is everyone’s duty. God will judge us for everything we do, including every secret thing, whether good or bad. It’s time to head out of the locker room with game face on, giving my all during this March madness. 1. For many, many years, Spring Break was eagerly anticipated at our home on the range. It was a welcome break from school routine. Youngest Son arrived home for his last Spring Break. I guess that means it’s another ‘last’ for Hubby and I, too. We are quickly coming to the end of this chapter in our life that has revolved around school schedules. Youngest Son will be a college graduate in May! 2. The early veggies have been planted. We had such a beautiful day yesterday that I just couldn’t help my self. The potatoes, snap peas, radish, lettuce and beets are in the ground. Some how I forgot to get onion sets and spinach seed. Those should go in the ground soon as well. 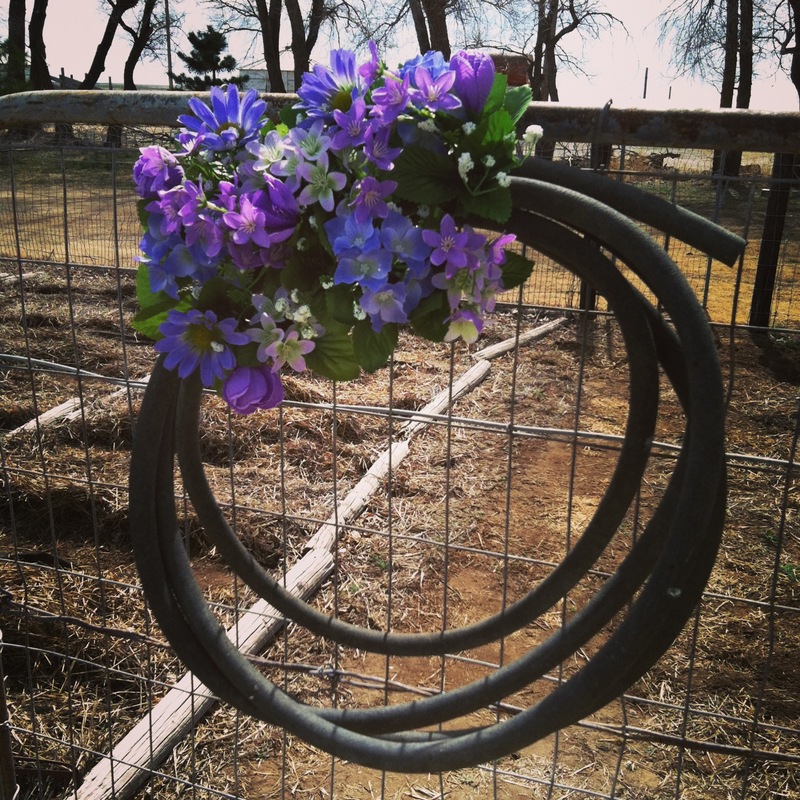 While checking the soaker hoses for leaks, I decided to make a hose wreath with a discarded hose. I then hung it on the garden gate for a welcoming effect. 3. 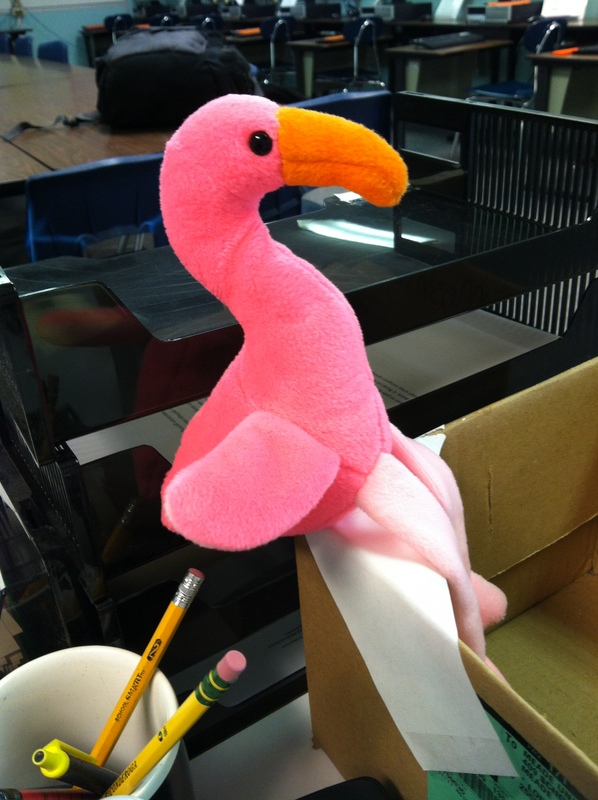 I found something in the coat closet that I never new was there!! I emptied the closet thinking I’d tear it out. However, I changed my mind and decided we really do need the closet space. So, with it empty I realized there are some cracks in the old plaster, and really should be patched and then painted. We’ve lived in this old house for more than 20 years, and I have never painted the insides of the closets. For shame, I know! Really who notices? The closets are full and you can’t see the inside walls anyway. 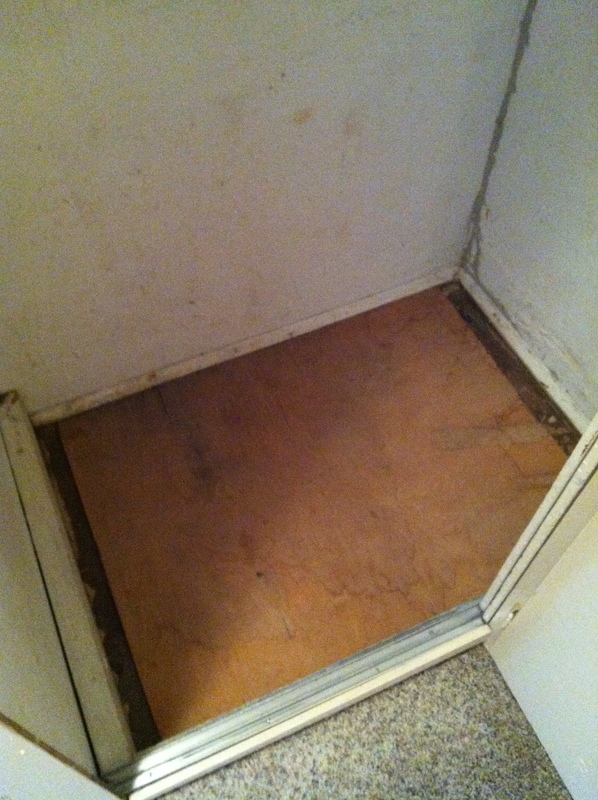 The floor of this closet has always had a piece of plywood on it, and I’ve never thought twice about it. That is until I was sweeping it out. I wondered why it was there, and if it was nailed down. Well, it wasn’t nailed down, and this is what I found! 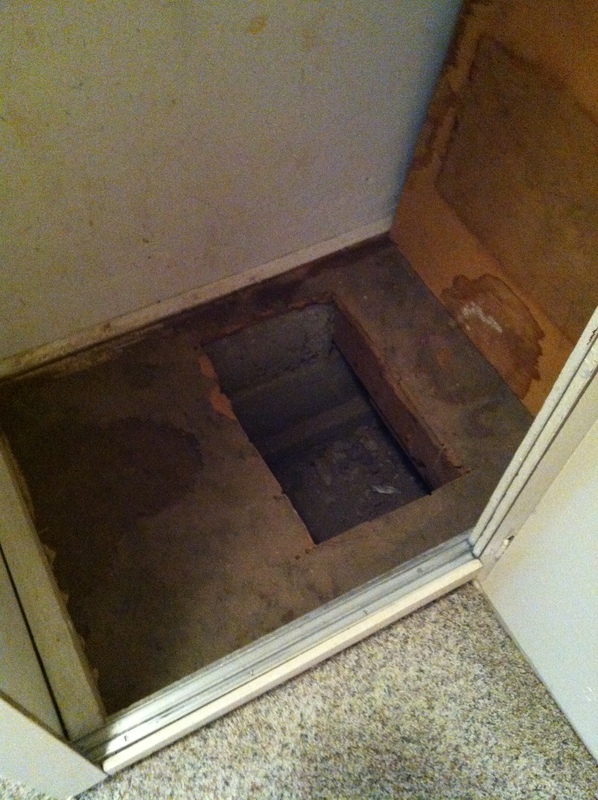 Hmmm, we never ever knew we had a crawl space here! I just love making new discoveries in our 100+ year old house! 4. 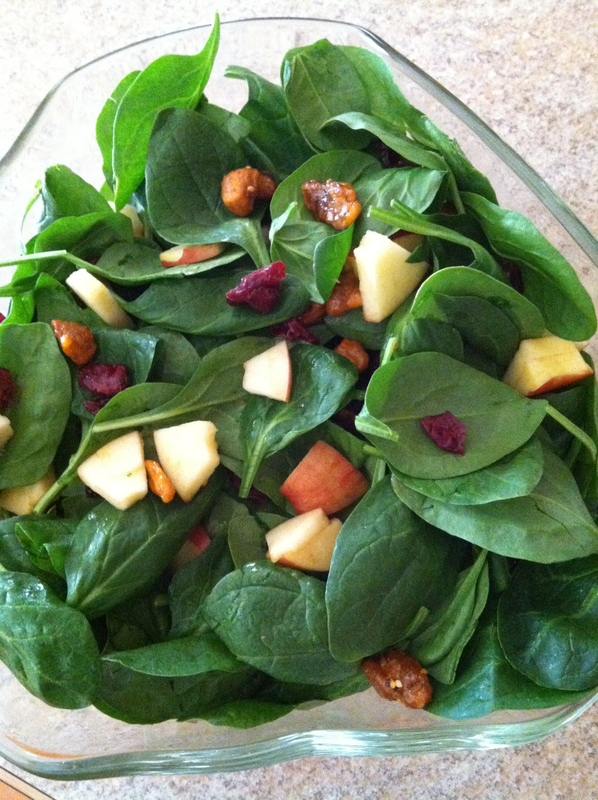 Last week I had a most delicious Spinach Apple Salad. It was easy to figure out the ingredients for the salad, but I wasn’t quite sure about the Apple Poppy Seed Dressing. I searched for a recipe and found several different ones. I ended up playing around with a couple recipes to get the taste I was looking for. Yumm! My parents are coming for my Dad’s birthday supper, and yes this salad is on the menu. I hope they like it as well as I do. 5. Tomorrow is St. Patrick’s Day. I must admit growing up I had no clue who St. Patrick was, or why we celebrated wearing green and getting pinched if we forgot. Some communities add parades and a lot of rowdy partying to the celebration. I still am not sure how some of these are in honor of St. Patrick. In case you are like me and don’t know who St. Patrick was, let me share a few tidbits on this Saint. Patrick lived a long time ago…in the 400s AD. He was captured while a teen and imprisoned for several years. During his time as a prisoner he became a devout Christian. He escaped, sought religious training, was ordained and became a missionary to Ireland. His ministry saw many people and entire communities convert to Christianity. He was a missionary for 40 years and began many churches. Patrick used the shamrock to explain the trinity – God the Father, God the Son, God the Holy Spirit. This would be a great illustration for church tomorrow! Spring is in the air! I know; I know. We just had a blizzard the beginning of the week. However, I have proof that Spring will soon be here! 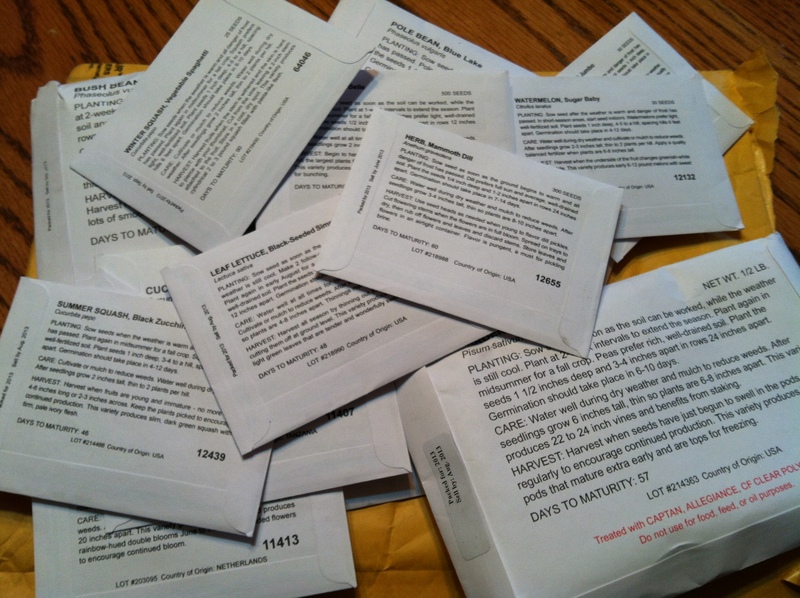 Mr. Postman delivered my garden seeds!! Oh! That didn’t convince you? Maybe these pictures will. I took them a few days before we got piles of blowing swirling snow. By the time the mud dries, I’m hoping it will be warm enough to plant my peas. In the meantime, how about some good ol’ fashioned spring cleaning!? Take down the curtains and launder; use the extension handled duster to reach the cobwebs where wall meets ceiling, and pack away the last of the snowman decorations. If your Bible has been collecting dust while sitting on shelf or table, clean it off as well. While you’re at it, take a moment to read and let God’s Word breath new life in you. In the book of John, Jesus talks a lot about life. He says, “I came that you may have life and have it abundantly.” In John 14:6 Jesus says, “I am the way, and the truth, and the life. No one comes to the Father except through me.” Towards the end of John, we are told why the many accounts of Jesus have been recorded. These are only a few verses from John, but I hope they are enough to cause you to read more about Jesus’ life and this new life found only through Him. There are signs of Spring outside. Are there signs of Spring within you?